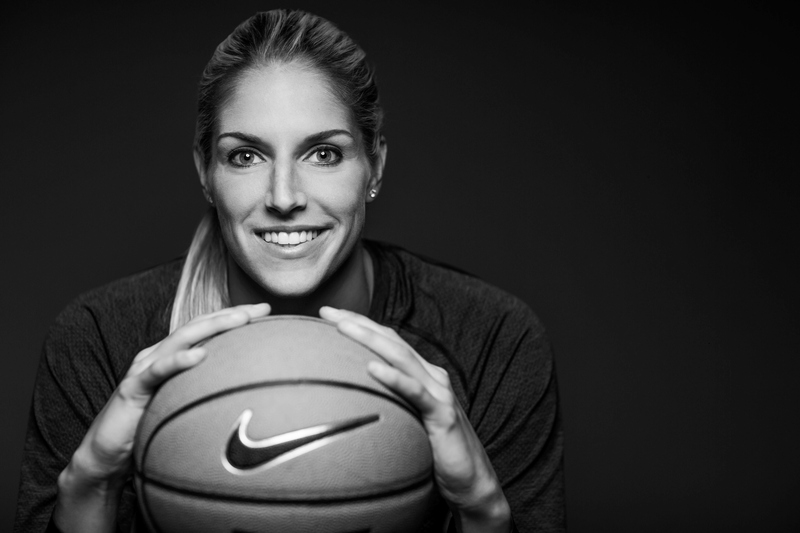 Elena Delle Donne, 2015 WNBA MVP and 2016 Olympic gold medalist, shares her inspirational story of being a young basketball prodigy who gave up an impressive basketball scholarship for family and self-discovery. Elena Delle Donne has always forged her own path. During her first year of college, she walked away from a scholarship and chance to play for Geno Aurriema at UConn—the most prestigious women’s college basketball program—so she could stay in her home state of Delaware and be close to her older sister, Lizzie, who has several disabilities and can only communicate through hand-over-hand signing. Burned out and questioning her passion for basketball, she attended the University of Delaware and took up volleyball for a year. Eventually she found her way back to her first love, playing basketball for the Blue Hens, ultimately leading them, a mid-major team, to the Sweet Sixteen. She went on to become the second overall selection during the 2013 WNBA draft and the WNBA’s 2015 MVP. 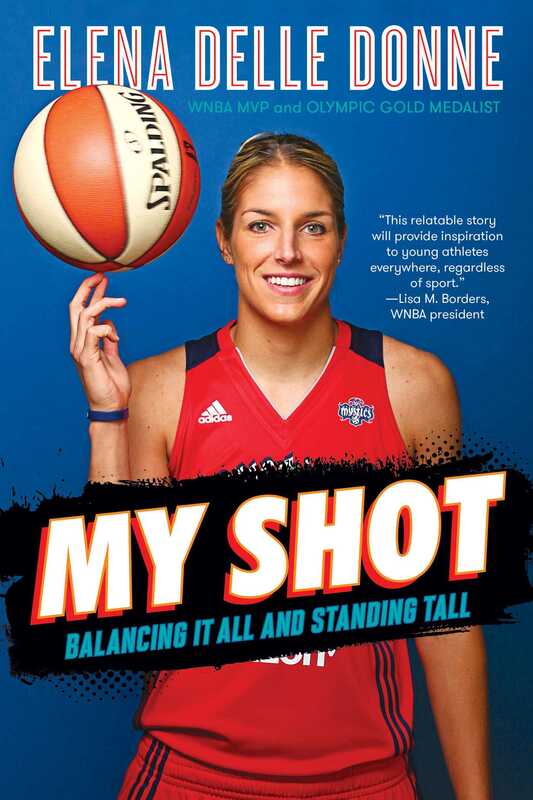 Elena Delle Donne delivers a powerful and motivational story of overcoming the challenges of competitive sports through balancing hard work and the support of a loving family. The thing about being different is that you don’t really realize you are until someone points it out to you. My mom is 6'2" and my dad is 6'6", so I can’t remember a time when they weren’t ducking to get through doorways or smiling at silly, obvious comments like, “Boy, you’re so tall!” They always towered above other people, but when I was little, that seemed normal because they were my family. And my family was my whole world. I was born in late 1989 in the suburbs of Wilmington, Delaware. I was the third of three kids, below my brother, Gene, and my sister, Lizzie. Gene is three years older than me, and he’s always been a goofball. Nothing was ever too serious for him to laugh at. Even when he played high school basketball at Salesianum School, an all-boys Catholic school, and people taunted him at the free throw line by saying, “Your sister’s a better player than you!” Gene would just smile. Nothing rattled him. Sometimes he’d miss the shot (I actually was better than him! ), but he didn’t care. His goal in life was to make others around him happy, so he never pitied himself. I sometimes wonder if he decided at a very young age to be optimistic and never let anything drag him down, because of Lizzie. Gene is three years younger than Lizzie, and he more than anyone else lived through her pain. Early on he didn’t have a sibling to talk to when my dad was struggling to lift Lizzie from her wheelchair and help her walk across the room, or when she was being wheeled into one of the thirty surgeries she’s had because of her conditions. Most of those operations were to cure her blindness—and all of them failed—but one of his first memories related to Lizzie’s long, painful recovery after a spinal surgery she had when she was seven. For three years, till I came along, Gene was all alone with two parents who struggled twenty-four hours a day to give their disabled child love and top-notch medical care. I think he saw all of that and decided to turn outward rather than inward. He wanted to see Mom and Dad laugh rather than cry. Luckily, that wasn’t always so hard. Dad went to work before the sun came up and didn’t get home till dinner was on the table, but he was always ready to play with us. We had a game we called “knee football,” where he’d crawl around on his knees while Gene and I—both standing—tried to tackle him. He rubbed my back till I fell asleep, and then he’d stay up all night constructing the K’NEX roller coasters I hadn’t been able to finish before bedtime. Mom might have spent her days taking Lizzie to doctor appointments and physical therapy while Dad worked hard helping to build his father’s real estate development company, but she always woke us up with a delicious, homemade breakfast. She was first in line to pick me up at school, and on the rare few times when she was late, I always assumed something terrible had happened. She was on top of every detail in our lives and made sure to spend quality time with each of us, which must have been a real struggle given all that Lizzie was going through. Cerebral palsy is a chronic, incurable condition. Doctors refer to it as a movement disorder, which means it affects the muscles and prevents a person’s body from working the way it’s supposed to. Doctors and scientists often don’t know exactly what causes it, but they do understand that the problems stem from a baby’s developing brain. Sometime during pregnancy, childbirth, or early childhood, a part of the brain doesn’t come together the way it should, and parents might discover that their baby doesn’t sit up when he or she is supposed to, has trouble making sounds, or shakes for no reason. Doctors knew something was wrong with Lizzie right away. From the moment she came into the world, it was obvious she couldn’t see, because her eyes wouldn’t focus, and just a few days later, she didn’t pass her hearing test. When she was a few months old, she still couldn’t hold her head up, and doctors worried she never would. When she finally walked, she couldn’t do it on her own, and she still needs one of us to guide her. These days she usually gets around in a wheelchair, which we have to push. She goes to a special-needs facility called the Mary Campbell Center from nine to three during the week, and after Mom picks her up and takes her home, she hangs out on her couch in our living room with her babysitter or one of us. Cerebral palsy is pretty common—about one out of every five hundred babies is diagnosed with it—and, luckily, the treatments are good, because the medical community spends a tremendous amount of time and money researching them. Lizzie has always had a team of doctors on hand, as well as the same wonderful babysitter for more than twenty years, and our focus has always been on making her happy rather than “fixing” her. What I mean is that we’ve always looked forward rather than backward. Lizzie is never viewed as a problem or a lost cause—we do everything to make her life better. How could I ever see her as something hopeless? I’m her sister, and I love her with every bone in my body. I often wonder if, like Gene, I became the person I am as a reaction to Lizzie. Because I’ve always spent so much time with her, I know she has shaped my adult decisions, but part of me thinks I was changing and responding to her the moment I came home from the hospital. Caring for her was the focus of our lives at home, so it just makes sense that I’d always be aware of her, constantly making choices based on how it would affect her and my family dynamic. I remember sitting in a physical therapy appointment with my mom and dad when I was about five, playing with some toys that I’d picked up from the waiting room. I looked up and saw my parents stretching Lizzie’s legs out on the table. Lizzie wore braces, which they’d taken off, and she was grimacing as they moved and massaged her stiff muscles. Lizzie couldn’t hear anything Mom said, of course, but I like to think she could sense the vibration of Mom’s voice. I know she could feel the kiss and Mom’s and Dad’s soft touches, but I wonder if she could feel the air come out of Mom’s lungs. Mom always spoke to her, probably thinking the same thing, but it was more than that. She refused to treat Lizzie differently from me or Gene. Lizzie’s so brave, I thought. She’s doing everything she can, living her best life, in the body she was born with. So I’m going to do the same thing too. As a reaction to Lizzie, I gained confidence in my body’s abilities early on. When I was three, I picked up a wrench and took the training wheels off my bike. My mom and dad stood inside, watching me from a window. Later that year I saw Dad, Gene, and a few of his friends playing Wiffle Ball in our backyard, and I ran outside and begged them to let me join in. They said yes, and I grabbed the big, plastic bat. Dad tossed me a slow, underhand pitch, and I knocked it into the neighbors’ yard. By the end of the day, Dad was throwing the same overhand pitches he’d lob to Gene, and I hadn’t missed a single one. When I was in third grade, our gym teacher decided to teach juggling one day. Each student took turns trying to keep three balls in the air without dropping any, and all of them struggled. Then it was my turn. “Okay, here we go,” I said as I tossed one up. For probably two minutes I didn’t drop a single ball. I took to juggling right away. I don’t mean to sound like I’m bragging. Those of you who look different—like I did, being so tall—know the shame that can come with it when people stare at you or comment on your appearance. Like I said earlier, you don’t realize how different you are until someone points it out to you or it becomes clear in some other obvious way. I remember at eight years old having a classmate trace my body on butcher paper and then hang it on the wall. Most kids’ papers stopped before they reached the floor. Mine hit the ground and then extended a foot out into the classroom. I was humiliated, thinking, I might as well have two heads. Again, my family hadn’t made me feel like I was different, but when I was faced with “normal” people or when I was talked about, I felt so odd. But, like Lizzie, I somehow knew I had to deal with it, so I subconsciously convinced myself to shrug it off and stand tall—literally. I never slouched or slumped, and I wasn’t clumsy. I held my body strong because I decided my heart should be that way too. Just like Lizzie’s. I don’t remember exactly why I decided that I wanted to play basketball. Mom and Dad told me that I first picked up a ball when I was four, started to dribble it, and then refused to put it away for the next week. Even though I was clearly athletic, they never pushed me into sports. Dad had played basketball in high school and golf in college, and Mom had been a high school swimmer, but just because they loved sports didn’t mean their kids had to. But when I was five, Mom and Dad enrolled me in a youth basketball league at the local YMCA, and I never looked back. I started playing every chance I got. Dad set the basket outside our house at the five-foot height, moved it up a little bit every few months, and by the time I was eight, it was at the full ten-foot mark. Throughout all those years, when Dad would practice with me, he’d urge me never to change my form just so I could make a basket. He taught me the fundamentals, then made sure I never deviated from them. A few of my parents’ friends had strong feelings about me playing in an organized league, and they didn’t hold back from saying something about it. “It’s a good thing you got Elena started so early,” one neighbor said, “because she’s already so tall.” Mom brushed that off. She didn’t want me to feel like I had to play basketball because of my height. As a tall woman herself, she was aware that this kind of attitude sent a message to girls like me. It was like the world was telling us: What else is a girl who’s taller than all the boys supposed to do? She definitely can’t be a ballet dancer or a gymnast! Mom didn’t believe that. She thought I could do anything I wanted, whether it was basketball or art or something else entirely. Sports—and certainly not basketball—weren’t mandated, like homework or chores. She wanted me to play basketball because I chose it, and she and Dad hoped I’d have fun doing it. I did. In fact, I didn’t just like it; I was head over heels in love with it. I was also really, really good at it. When I was in second grade and Gene was in fifth, I was on his boys team, and every single one of my teammates was at least three years older than I was. During that year’s championship game, the score was tied with only a few seconds left, and Gene stole the ball. He looked down the court and threw it to me. My right hand is my money hand, but instead of going for a right-handed layup after I caught the ball, I shot with my left hand. I didn’t notice Gene, but I’m sure he wanted to kill me for not taking the sure shot. It didn’t matter. Swoosh. The ball went in for two points, and we won the first-place trophy. I’d saved the game, and my life in basketball had officially taken off. "Inspiring in many ways, this will be meat and potatoes to girls with their own basketball aspirations." "Elena Delle Donne is one of the great role models in sports today. She's a terrific athlete who has written a wonderful book that is riveting, compelling and honest. Elena's story is an inspiration to anyone who loves and plays sports."